More than 250 business people of Vietnamese origin overseas gathered at a Thursday conference with representatives of Vietnamese ministries, agencies and enterprises to discuss business opportunities. Nguyen Xuan Phuc, deputy manager of the Government Office, said the Government has recognized great contributions by overseas Vietnamese, or Viet Kieu, to their motherland. Viet Nam considers Viet Kieu, including Viet Kieu’s businesses, an integral part of the country, he reiterated. The Government has pledged to further improve the business environment to support Viet Kieu, he told the conference, held at Furama Resort in Da Nang City on the central coast. Many Viet Kieu said they want to enjoy visa exemption so that they can return to Viet Nam more easily for business and relative visits. Nguyen Van Nien from Russia, director of Song Hong Thu Do Co., said it is necessary to grant Viet Kieu the visa priviledge as soon as possible. He said business people travel a lot, while visa application takes lots of time and costs money. Meanwhile, Vietnamese American Ho Quang Dang, director of Dan Tri Co., showed evidence of complicated administrative procedures, saying they cause difficulties in doing business. He proposed that there should be specific guidelines for the implementation of the Tax Law and the Enterprise Law; as well as for importing Viet Kieu’s vehicles for them to travel in Viet Nam, and bringing the vehicles outside later. 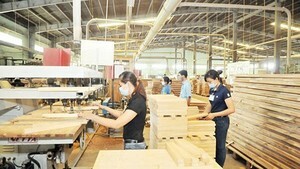 The overseas Vietnamese business people also want the Government to allow them to buy houses in Viet Nam easily. They want to be supported more in getting access to information and via Viet Nam’s trade and diplomatic agencies in other countries, as well as to have an association for overseas Vietnamese business people established soon. Dan Tri Co. director Ho Quang Dang said Viet Kieu send home big sums of remittance but just a few overseas Vietnamese have got their Vietnam return of investment. When returning Viet Nam, Viet Kieu find many things quite new, especially in trade, investment, laws on enterprises, labor, taxes and other areas. 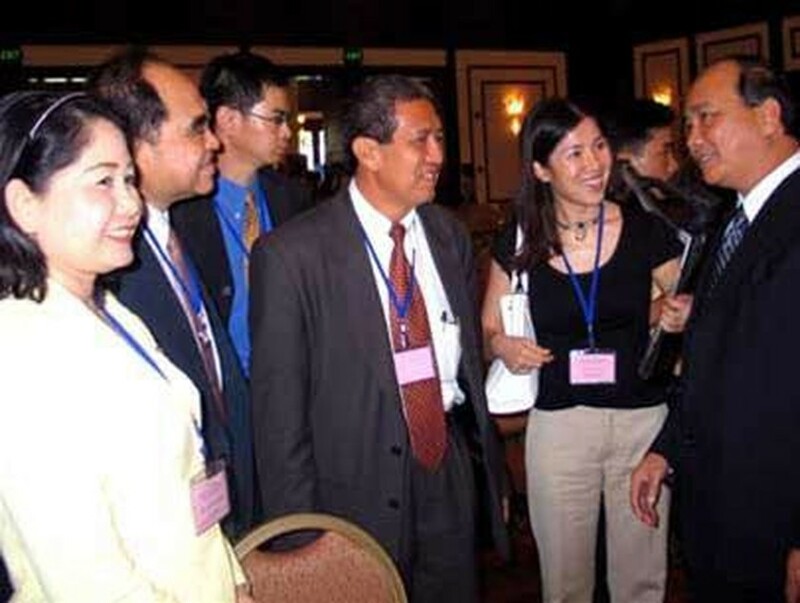 Dang said overseas Vietnamese business people need to contact organizations established for them, including the Committee for Overseas Vietnamese and the Overseas Vietnamese Club. They also need to set up links with local companies, and this becomes more urgent as Viet Nam is about to join the World Trade Organization. Overseas Vietnamese Club chairman Nguyen Ngoc My demonstrated the necessity for and the success of Viet Kieu teaming up with Vietnamese enterprises. He said Viet Kieu’s tourism companies overseas have achieved promising results by cooperating with Vietnamese partners in arranging trips to Viet Nam. Some success stories cited by Mr. My are Furama Resort in Da Nang, Vietnam Village in Hoi An, Vin Pearl Resort and Spa in Nha Trang, beach resorts and hotels in Phan Thiet, Norfolk Hotel and Norfolk Mansion in Ho Chi Minh City. Do Xuan Hoang, general director of FGGRUOP in Russia, said he was very happy seeing local business people and Viet Kieu strengthening collaboration. 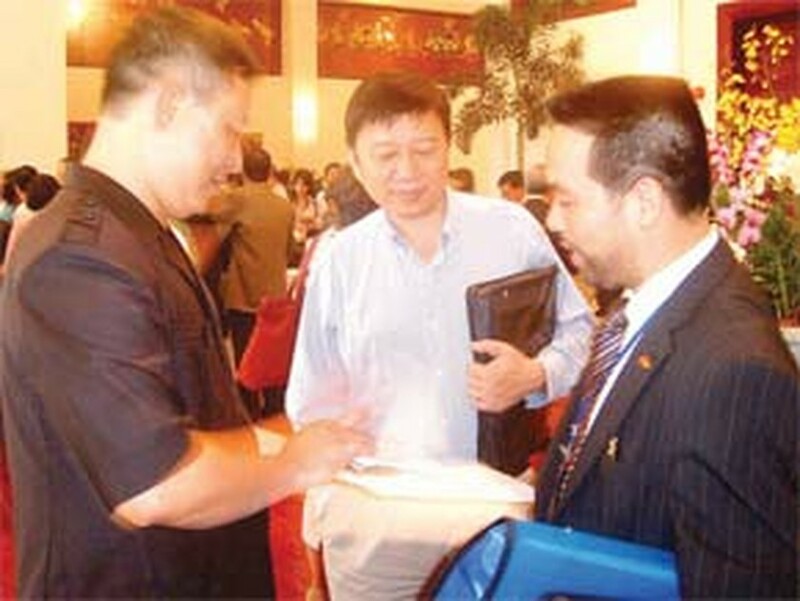 Viet Nam’s investment in other countries is getting higher, so it is necessary to organize such conferences. He added the Thursday conference in Da Nang was a good chance for Viet Kieu to prepare for future investment in their homeland. At the conference, Mr. Nguyen Ngoc Phuc, Deputy Minister for Planning and Investment, proved Viet Kieu’s substantial contributions to Viet Nam with significant figures. By the end of July, Viet Kieu has invested in 1,465 business projects with about US$380 million in combined capital, under the law on stimulating domestic investment. Up to 58% of the projects are in the trade and service areas. Viet Kieu investors come from 36 foreign countries. Vietnamese Americans own 674 projects, followed by those from Australia with 237 projects. Besides, since 19998, Viet Kieu have invested in 108 projects with US$382.8 million in the total pledged capital, under the Foreign Investment Law. Viet Kieu-invested projects have created more than 7,000 jobs and helped increase the country’s export revenue. Between 2001 and 2005, Viet Kieu’s remittance totaled up to nearly US$16 billon. Last year’s figure was about US$3.7 billion, up 43% on 2004.